discuss some pro’s and con’s. them, as long as they remain on said list. of repair and replacement falling short of actual needs. 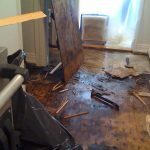 the work of an adjuster and can muddy up the process. which creates a type of revolving door of contractors working as a preferred vendor. adequate labor, material, and other factors. feel free to contact us here at Built Restoration any time.